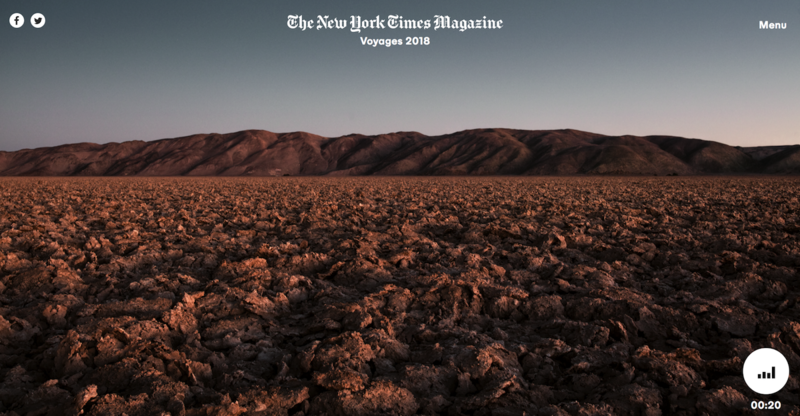 Through eye-catching photographs of exotic locations, New York Times Magazine’s biannual Voyages issues are meant to transport the audience around the world even if they are just sitting on their sofa or on the way to work. But last month’s issue may have caught readers off guard by asking them to experience the 11 locations through a corresponding soundtrack. The soundscapes captured range from the crackling of a lava flow in Kilauea, Hawaii to the voices of rats on a crowded Manhattan street and mark a departure from traditional travel reporting. 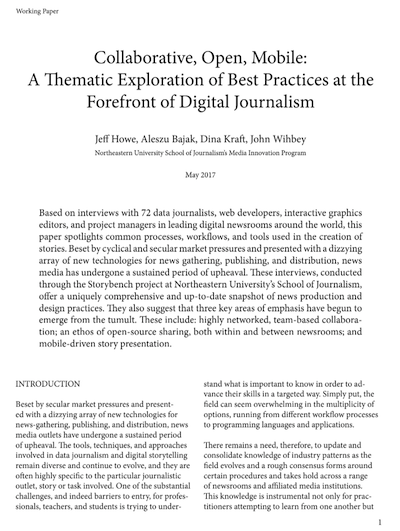 Storybench spoke with Jake Silverstein, editor-in-chief of New York Times Magazine, about the process of putting the issue together and what it means for non-traditional forms of journalism. What sets this issue of Voyages apart from past issues? Well, we’ve never done a soundtrack before. About three years ago we began committing our fall Voyages issue, which is an annual special issue that we do entirely to travel photography. We also have a spring Voyages issue, which is more like a ‘normal magazine’ in which there’s articles and photography together, but the fall Voyages issue for about three years has just been a series of really large-scale photo essays with very small amounts of text captions, brief explanations, et cetera. We always choose a theme so that we can somehow narrow it down to seven to 10 locations in the world and figure out where we want to send our photographers. About a year ago, when we were thinking of ways to pick the destinations for our next issue, somebody in the office came up with the idea of choosing places that were interesting soundscapes. We just thought that it would be interesting to see places that sounded notable and we thought that there might be something interesting visually about those places as well. We obviously recognized that if you’re going to do that, you also have to be able to give readers a chance to hear these places or else they’ll be very, very frustrated. So, we conceived it as an issue that would arrive with a soundtrack accompanying it. And then once we did that, of course it put a whole new pressure on our decision making. It couldn’t only be places that looked cool, they had to really be places where hearing the sounds would be exciting and interesting and informative. It was an interesting editorial process in that we were having to choose places that both sounded and also looked interesting. Did you have any challenges when you were gathering the actual audio from these places that, like you said, are just all over the world while also using things like ultrasonic mics and different types of technology? Definitely. There were lots of challenges. We deployed a bunch of really excellent field reporters all over the world to get these sounds and some of them were rather challenging to get. Probably the most challenging sound was the sound of the lava flowing from Kilauea volcano in Hawaii, which has been erupting off and on since May. It’s obvious to say, an erupting volcano is not the safest place to be, but you have to get pretty close to it to hear the sound of a lava flow. Jeremiah Locke Green was the particular field reporter who was in Hawaii getting that along with the photographer, Philip Montgomery, and they got pretty close. It was kind of harrowing actually. I was glad that I only knew after the fact how close they had gotten. And then, as you mentioned, the ultrasonic [microphones], like there was a couple of recordings that were made that cannot really be heard with the human ear. There were ultrasonic recordings of rats in New York City, which were then turned down to the human range of frequency. There were some recordings made with an underwater array of hydrophones by some scientists that are working in the US Virgin Islands near St. John on coral reef acoustics. A lot of other cases, the recordings were done beautifully by really accomplished field reporters, but they were relatively straightforward to get. We had a field reporter going to Gol Gumbaz, this incredibly resonant mausoleum in India, and capture these reverberations that seem to go on for minutes and minutes and minutes whenever any sound is made. It was a lot of different kinds of reporting. I think that was one of the interesting things for the project. When you were revisiting the recordings and editing them, was it difficult finding the balance between providing explanations and just letting the sound speak for themselves? Absolutely. We definitely had an urge, an impulse to dramatically minimize the explanation and just let the sounds play as almost a form of meditation because the sounds are beautiful to hear and there’s a lot going on in each sound if you really focus in on the sound and hear the low notes and the high notes and the way it changes and the crackles and the hisses, the silence and then the eruption of a new part of the noise. I mean if you tuned in as we were trying to get people to do there’s a lot to hear. But at the same time, we recognize as a general interest magazine that’s going out to a massive audience who are not expecting this project at all, and who are being asked to do something that they’ve probably never done before – read a magazine either in print or online, but with an ear toward the kind of natural sounds of the world. You want to find the right balance between just giving people the experience and holding their hands a little bit so that they are lead comfortably and securely through the experience. I mean that’s generally, I think a good balance to try and strike as a magazine editor when you’re doing a special project like this because you’re asking people to spend 45 minutes, maybe an hour of their time going through this experience that’s sort of vaguely akin to a museum experience or something. But they didn’t like elect to get up and go to a museum where they knew what the exhibit was going to be. We really wanted to try to give people some support for this, the experience of listening to the sounds and generally what we were trying to do is keep the explanations vivid and brief and hopefully very interesting in some cases I think a little bit, a little bit moving as well. But then once the explanation is done and you know why the sound is so magical, then we let the sound play. Were there ever any worries about people receiving the print issue and just not using the soundtrack that accompanied? Yeah, I assume people did because maybe they were busy, maybe it’s possible that readers simply do not have any access whatsoever to a digital device or a laptop or anything that could gain access to our soundtrack. I do think that for those people there still was a pleasure in just flipping through the print edition of this magazine. You know, when you look at these pictures, and I should also say we’ve been talking entirely about the kind of acoustic dimension of this issue, but this is really a photo issue and when we make these assignments, our photo department is actively trying to make interesting assignments and send photographers who have a certain style, a certain type of work, working a certain type of visual approach that will bring out what is special about a particular soundscape. I’ll give you an example. Matthew Brand, who is a photographer based in Los Angeles, shot Iceland for us and he was inspired directly by a phonics phenomenon that’s happening in our second destination in Iceland, which are these geothermal mud pots that bubble up like a witch’s cauldron. And he thought that was really cool, so he developed a technique where he would make prints of photographs from Iceland and then he would sort of torch them at random with a heat gun to create these blisters and then he would plunge them in this cold bath. It creates these weird blisters and discolorations on the surface of the picture, which got quite beautiful to look at and they create these interesting kinds of accidental formations throughout the image. If you flip through the issue and just use your eyes, you can still have an amazing experience. In some sense it’s actually enhanced by the fact that there’s zero words to get in your way. You’re just confronted with these enormous images and you’re left alone to make what you will of them. Clearly the photography is much more experimental than what most people would expect out of a journalistic publication. What has the reaction been to that? I would just say it’s not universally artistic in that way. 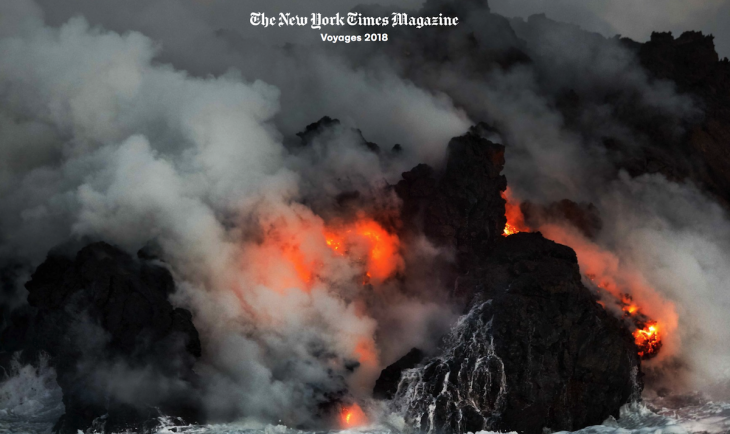 Our photographs of Kilauea volcano by Philip Montgomery are spectacular photographs and they’re compositionally quite brilliant, but there’s no distortion that has been made. You’re just looking at the thing itself and that’s true in most cases. It’s not necessarily the case that every single picture is going to be a challenge for readers to understand precisely what it’s depicting. By and large, really almost exclusively the reaction to the issue has been really wonderful. We always kind of hit publish and then sort of hold our breath and wait for people to say this thing doesn’t work right or this thing doesn’t make any sense. We were just really thrilled to see that it worked. People loved it. People were transported by it just as we had hoped that they would be. A lot of people have written in that they really did end up feeling like this is kind of like a new way to consume print. What does this issue say about the future of the magazine and non-traditional forms of journalism? I think one of the things that I would love to try is a more narrative approach to that particular story form that we were using here. These are more about explaining particular aspects or facts about the world, but it would be interesting to use the same technique of sonic information delivered through your ears and visual information delivered through your eyes, but to use it to try to tell a more narrative story, that would be an interesting experiment and I’ve certainly been thinking a little bit about that as I’ve watched people enjoy this issue this week. 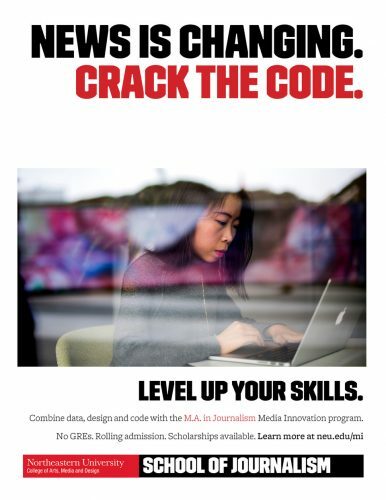 What should we expect next from New York Times Magazine in terms of non-traditional journalism? We really try to give ourselves a challenge that maybe three or four times a year we will do something that fundamentally busts the form of the magazine and try something that’s never been done before. Part of the reason that we feel like that’s important for us to do is that we’re a weekly magazine, we put out 52 issues a year where we have a space in a calendar that says with as frequent a publication as that to try some things that do not have a guarantee of success and if they flop, which thankfully none of them really have yet, they’ll be gone sooner or later because we just put out so many issues. I would say the next thing that we want to try to do [is] an interesting experiment with augmented reality. We have no specifics to announce or anything like that, but just that that’s the next thing on the horizon for us. Is there anything else you’d like to add before we finish? One last thing I would say about a project like this is that it’s really only truly able to work because we have a talented staff that’s capable of rising to the challenge of in this particular case, like literally reconstructing the entire magazine experience. They were figuring all this out. 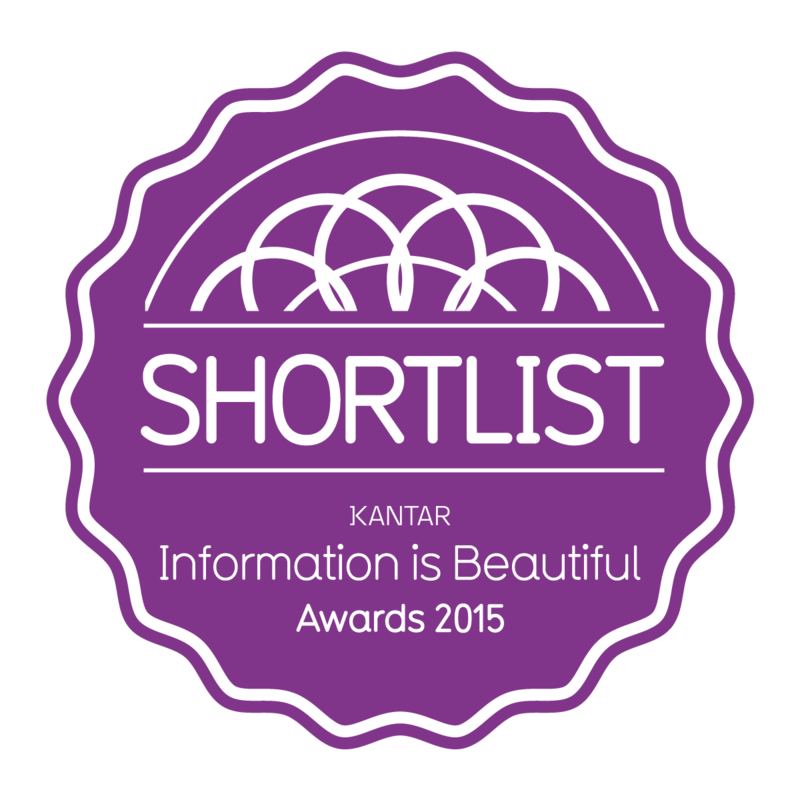 I’m lucky that the magazine has incredible group of people working here. Lucas is a student at Northeastern’s School of Journalism.